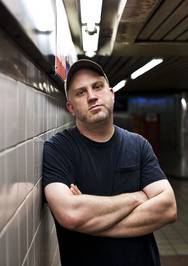 Tony Rettman is a freelance music journalist whose work has appeared in The Village Voice, Vice, The Wire, Philadelphia Weekly, Cleveland Scene, Arthur, Swindle, Signal to Noise, Mean, and Thrasher. At age 14 in the 1980s, he was the editor of Common Sense zine. He has provided liner notes for such artists as Hackamore Brick, Bored Youth, Beyond and many more. He is a contributing editor to DoubleCrossXX.com. Tony Rettman isn't a Goodreads Author (yet), but he does have a blog, so here are some recent posts imported from his feed.